I bought this as a spare for my dress watch that I do not like wearing all time. 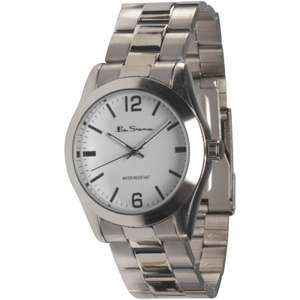 Ben Sherman large face watch with metal bracelet strap. Stainless steel caseback and strap. Reduced from an original price of £49.99.